A safe and effective way to rejuvenate the appearance of your skin with a technique called micro-needling. A thorough consultation is an important first step when deciding if microneedling is the right option for you. We thoroughly discuss your desired results and provide an honest, professional opinion on how best to achieve those results. We also make certain that you are a good candidate for treatment, taking into account your skin type, age, health, medical background and other factors that could affect the safety and effectiveness of your treatment. All of our consultations are conducted with the goal of making sure our patients feel comfortable, confident and informed about microneedling treatments. The day of your treatment, please remove all makeup and lotion. Any additional preparation instructions specific to the level of treatment you are getting will be given to you at your initial consultation. Before your treatment, we will answer any questions that may have come up since your consultation. Every effort is made to make certain all your concerns are addressed and you are as comfortable as possible. Micro-needling, also called collagen induction therapy (CIT), uses the body’s natural healing process to increase the production of collagen and elastin in the skin. The micro channels created during the treatment allow blood, serum and lymph to leak in a controlled and temporary manner, and these tiny injuries are enough to activate the body’s amazing healing response. Most patients report feeling very little discomfort during treatment. Treatments typically last a half hour depending on the size of the treatment area. Micro-needling is minimally invasive, but because the skin is penetrated, there are some after effects. You may experience mild to moderate swelling and redness, which feels similar to a sunburn. You may also experience some bruising. These will fade gradually, and typically do not last more than a few days. 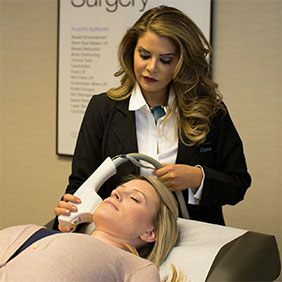 Results do vary, but patients typically enjoy an improvement in tone and texture with a significant reduction in wrinkles, scars, pigment irregularities and other blemishes. While a series of treatments is recommended to achieve optimal results, many report seeing results just one week following the first treatment. During your consultation, we will thoroughly explain what results to expect. We also can customize a skin care product regimen that will not only enhance your results, but also help to make results long lasting. Q: Is Microneedling right for me? If you want to remove scars, birthmarks or other blemishes, smooth away lines and wrinkles, reduce pore size and give your skin a renewed glow, microneedling may be the right option for you. Microneedling is effective on all skin types and can improve the appearance of many issues. 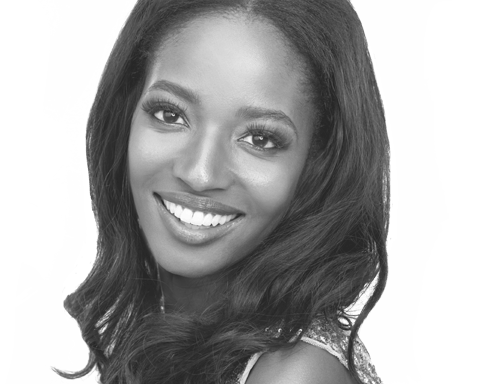 Q: Why choose RTH Plastic Surgery for my Microneedling? When choosing a cosmetic professional for microneedling treatments, there are three important qualifications to consider: training, experience and personal attention. Dr. Hajjar is Board Certified by the American Osteopathic Board of Surgery in plastic and reconstructive surgery. Above all, your cosmetic professional should be someone you trust to deliver exceptional results and perform a safe and effective treatment. At RTH, our cosmetic technicians are microneedling specialists. We spend the necessary time with every patient to answer any questions and address any concerns. We make it a priority to ensure our patients are well-informed and completely comfortable with their decisions. We know that your time is valuable, which is why we maintain an efficient treatment calendar and use the latest techniques and technology to maximize your results. Q: Will my insurance cover Microneedling? Insurance companies commonly do not cover an elective or cosmetic treatment like microneedling unless it is performed to correct a medical or health condition. If you plan to use insurance as payment, we strongly suggest consulting with your provider to discuss if the treatment is covered in part or in full by your current plan. Q: Will my Microneedling treatment results look natural? Microneedling treatments are minimally-invasive, providing results without the need for any surgical procedures, thus eliminating the possibility of scarring or other signs that a treatment was performed. During your consultation, we will thoroughly explain what results to expect. The longevity of results varies and is dependent on the amount of excess fat, the laxity of the skin and skin type. We can explain how to sustain results for your skin type at your consultation. Q: Can I have additional treatments in combination with my SkinPen treatment to enhance results? Yes, your RTH doctor can recommend complimentary services that may enhance your desired results including a variety of chemical peels, laser skin resurfacing treatments and other skin care products.